Growing up I was always told that April showers brought May flowers, if that is the case what do March Showers bring? Well thankfully the full showers did not arrive today, and the Primary Sports Gala was able to proceed without issue. The morning was a nonstop football festival. At one point I was stood in the middle of the field and 4 different Moshi teams were playing at once. In the afternoon the action moved to the pool. I don’t know the results, but it appeared to me that the different teams were having a great time, and that is enough for me. I want to thank all the parents and staff that worked hard to pull this event together. 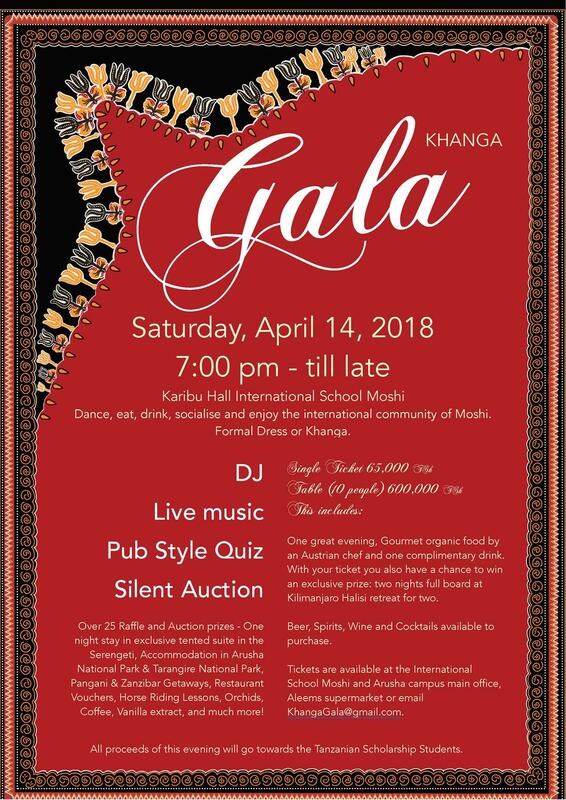 Our PTA has also been active in planning the Kanga Gala. This formal event on April 14th is designed to raise funds for our scholarship funds. Keep an eye out for the growing list of raffle prizes and items for the auction on the night. In a separate bulletin we will be sending information about this year’s scholarship recipients. We had over 90 applicants from the length and breadth of Tanzania and 21 finalists were interviewed. The committee noted the high quality of all applicants this year. This week we have primary and secondary conferences. The primary conferences are student-led and will be on Thursday. Please remember that due to the conferences there are no primary classes or clubs. Details regarding the conference times will be coming home from the teacher. The secondary conferences will be at 10:40am on Friday after the assembly in K-hall. For both D2 and M5 students, this is the last conference of the year. We look forward to seeing you at these different conferences. This Thursday twenty-two members of the ISM community will share their stories, professional journeys and advice in 40-minute Career Day sessions. This is for our M5 to D2 students and we hope should trigger related conversations at home (https://bit.ly/WSJHowToGetaJob). Presentations like this help students to better understand what career options available and what courses are most important to study as they aim for a career in different fields. These yearly presentations are only possible with the support of the community, so we thank those who have volunteered their time. This past Wednesday there were two parent meetings to explain the MAP testing to interested parents. I thank the roughly 30 parents that attended these meetings. For parents that were unable to attend, but would like to know more, there is a “Parent Toolkit” available and I encourage you to check it out. Please also feel free to come see me if you have any questions. To answer one question that was asked about the MAP being US based, there are over 900 schools in 145 countries that take the international version. Over 50 of those schools are in Africa. The system will allow us to look at many items including comparisons to norms that are just international and even just regional. However, the best part of the system is the support for teachers in differentiating learning. 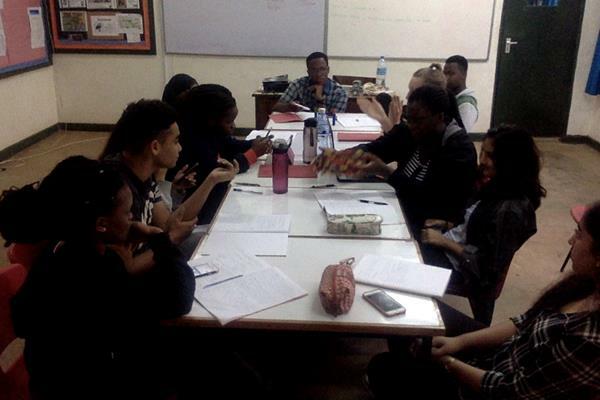 The D1 and D2 History students have recently been studying the Arab-Israeli conflict. The culminating events in their respective classes involved a debate on the viability of a two-state system (see photo). The D2 students will be in the last few weeks of classes when they return. They are scheduled to have the last day of classes on April 20th, followed by a study week before exams start. During this study week the teachers have the normal class times open and students are encouraged to go see the teachers to get help in preparation for the exams. Reminder: Please do not remove your son/daughter in the DP before the end of quarter 3 (10:30 on Fri March 23) and ensure they are back for the start of school on Wed April 4 at 7:30am. The MUN experience is like no other in the world of CAS activities at ISM! Students who make it to the select delegation to represent the school in Nairobi for the one week conference come back changed for good! The conference, which accords young people an opportunity to share their views on issues affecting the world today, moulds them to start looking at things from a different perspective. Students acquire critical thinking skills, research skills, debate and lobbying skills too. All in all students acquire knowledge on matters to do with foreign policy, international relations and diplomacy. The M3 students will be away on April 10-12 for a trip to the Cultural Arts Centre of Tumaini University. This will be a rich experience for this year group as they appreciate the contribution of languages and arts in the development of culture. Tests for the M1 students were completed on Friday March 16. The tests largely went well except for occasions where the internet proved unreliable. However, there are mechanisms built in the Exam system to help students complete tests when they are accidentally discontinued as it saves automatically after each question. We shall use this to enable the M3 and M2 classes to complete their tests next week on Wednesday. This will include students who were absent during the testing period. The ePortfolios in French LA, English LA, the Arts, Design and Physical and Health Education are almost complete. After the Easter Break, the candidates will embark on intense revision for the On-Screen examinations. Students should be encouraged to attend classes as usual. Some of the ePortfolio lessons will be ‘donated’ to On-Screen subjects to enable students to prepare well for the May examinations. The Mock results will be released to parents mid next week. Parents are urged to use the Easter Break to advise, counsel and encourage the candidates as they work for the May exams. The pre-reading material for the May 2018 Interdisciplinary Learning examination will be released by the IB on April 1. This material will be used by the teachers to prepare the candidates adequately for this On-Screen examination. The candidates are advised to read and research further on the material to enable them to access this examination with relative ease. The candidates will begin their examination on May 8 and finish on May 18. A detailed schedule will be released to the candidates and their parents shortly to enable them to revise adequately. In addition, students will be given some sample On-Screen past examinations by their subject teachers to do at home. All boarders are expected to furnish the school with medical information. This information can be provided in a prescribed medical form that can be downloaded from our website. If for some reason you have not done so, or if the information has changed, please complete the form and send it to us. School will close for quarter 3 on Friday 23rd March, and reopen for quarter 4 on Tuesday 3rd April 2018. Kindly note that this time they will not return to school on Sunday. Some parents have shared with us the travel arrangements already. For those using flights, we remind parents to send us the details as soon as possible, and also inform us if your child will need transport to and from the airport. The school provides free transport to and from Kilimanjaro International Airport and Moshi Airport on the scheduled opening and closing days. However, we charge for transport on other days. Please remember that it is not possible for the school to provide transport to Arusha airport. Information about travel can be sent to the child’s boarding parent or to the Head of Boarding on rosemarybango@ed.ismoshi.com. On Thursday morning, the D1 class set sail on their homemade rafts to compete in the annual D1 Raft Race. This is a project taken on in the Life Skills lessons as students develop the skills of cooperation, communication and leadership within small groups to create a personalized raft that is able to carry two group members for 50 metres. The D1 students worked cooperatively this quarter to make a team flag and design a raft. All nine groups had a raft in the water and all nine groups proved they have what it takes to collaborate on a successful project. Congratulations to all D1 students for your positive spirit and determination! The event brought the school community together. 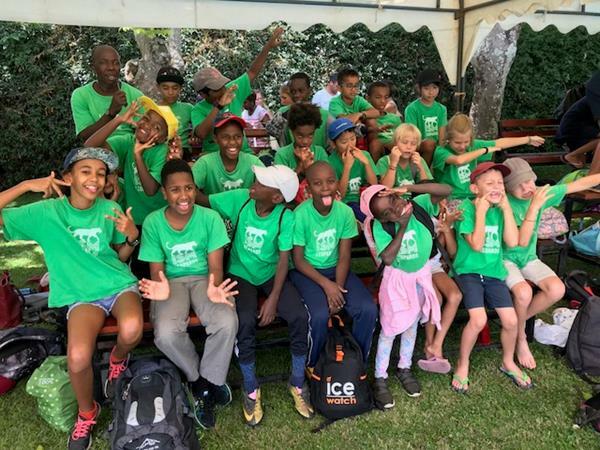 The winning team this year was “J-Wash” (Michael, Rhona, Faith, Melissa, Thomaso and Alice), followed closely by the “Wave Riders” (Tanpreet, Davis, Jonathan, Hrithik, Jeremie and Anam). This past week we had our traditional visit from Bhubesi Pride Rugby, which comes to run rugby clinics with our students, as well as clinics with the local schools. 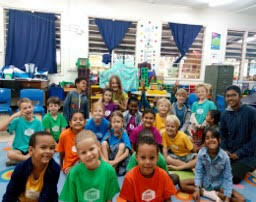 Our students in P1 to M4 participated in clinics during their PE classes. Fun was had by all. The U19 Boys and Girls Basketball teams play their final games this weekend, the boys need just one more victory and they will be “Champions.” Wish the teams well! I can now confirm that the ISM Primary Team brought home 16 gold medals from the NTAA St Constantine’s Swim Gala last Friday (see photo). These were awarded to the winners during our Primary Gathering. Congratulations to Coach Sabini and the Primary Swim Squad for such a fantastic result. 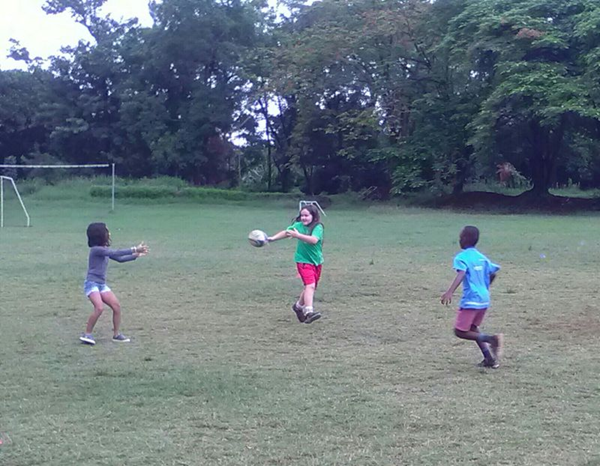 In PE lessons this week the Primary children have enjoyed learning rugby skills from the visiting Bhubesi Pride coaches. It was very exciting to be taught by experts from the UK. It was a bit rainy at times, but that didn’t put them off. The children have learned lots of new techniques. 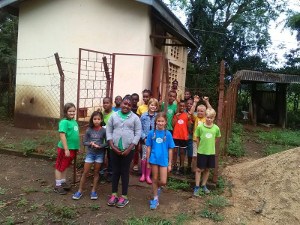 On Friday evening we welcomed one bus load of children from Dar International Academy and three bus loads from St Constantine’s School. After supper they all sat down with our Primary Boarders to enjoy a Movie Night in Rafiki Hall. This morning more girls and boys teams arrived from ISMAC and Moskisa. We all gathered on the top pitch for the start to an exciting day of Primary Sport. We began with football in the morning. The rain just about held off and a snow covered Kilimanjaro made for a beautiful backdrop. At the time of writing the swimming has not yet commenced, but will take place in the afternoon. We thank the teams for coming to us from Dar, Arusha and right here in Moshi. Many thanks also to our sports coaches, teachers, teaching assistants and volunteer parents who all helped to make this fun day possible. Homework won’t be set next week, but do encourage your child to read each day; including throughout the holidays. Primary clubs will run as normal on Monday, Tuesday and Wednesday. Thanks to all parents who signed up to attend the Student Led Conferences on Thursday. Please bring the leaflet with you which explains all about it. You will find it useful as your child shows you their work. There are no lessons on Thursday. Quarter 3 ends at 10.15am on Friday 16th March. If your child needs to leave before this time/date for any reason, please email your child’s class teacher and myself, giving details. Quarter 4 starts on Wednesday 4th April (boarders return the day before). Thanks to all those who have confirmed their attendance at next Thursday’s Student Led Conferences. The children have been working very hard on preparing their portfolios and have lots of work, play and photographs to share with you. On Thursday we enjoyed our last swim of this Quarter. As you can see, we pirated one of the ‘boats’ from the D1 Raft Race and sailed the seven seas. Please note that swimming may not start for a few weeks after the holidays. It depends on the rains and temperatures. There are no library books this week because we will be going on our holiday on Friday. Please remember indoor shoes on Monday; it is getting very muddy. P1/2 have begun their new unit by exploring various issues concerning the environment and how we as humans conserve or misuse our natural resources. They read ‘The Wump World’ by Bill Peet and ‘The Lorax’ by Dr. Seuss. From these two books, they began to understand the power of human action. The children were also privileged to have time to question and talk with some M3 students about their science fair projects. They were amazed at how electricity and the acidity of water (‘its’ sourness’), could affect the growth of plants. Another fact that amazed them was how a grasshopper could eat poisonous plants and still live. Thank you M3s for sharing your projects with us. In maths, the week began with a grid map drawn on the floor and everyone trying to find out where items were laid or where to lay them. Next week, we will be looking at tally marks and how to record data quickly. I would like to take this opportunity to congratulate all the children that took part in the Primary Sports Gala on Saturday. I believe it is a wonderful opportunity and experience for the children to represent the school. Well Done! This week the children have been busily preparing their portfolios ready to show you, their parents on Thursday. They have been selecting pieces of work and will be explaining to you games they have played and many more fun learning experiences. In Math, the children have been using money. They have been counting in multiples of 1,2,5 and 10. They have been using this understanding to deal with larger amounts of money. Next week the class will finish off organizing their work samples. They will be finishing off their Gail Gibbons mentor text books ready to share on Thursday. The children have been very enthusiastic about the start of this unit. If you notice them asking questions about the solar system or making things related to what we are learning in class, please let me know or have your child bring it in. This week we have worked on consolidating our understanding of money and adding and subtracting three digit numbers with a decimal. The students are finding it quite challenging but are beginning to be able to transfer their skills between currencies. 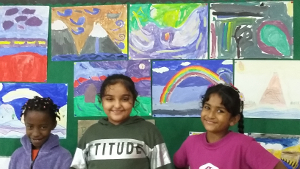 We have started our Sharing the Planet Unit and the kids are excited about learning about extreme weather and how natural hazards are affected by human intervention. In art we are looking at some famous weather art and learning about warm and cool colours. Next week in English we will continue writing poems and looking at how language can be used to convince and persuade. The students are preparing their portfolios to show at the upcoming Student Led Conference on the March, 22nd. We spent this week finishing off our energy unit by carrying out different electric circuit investigations. The children made “burglar alarms” which buzzed when someone trod on them and also constructed buzz wire games. On Tuesday at 7:40 we plan to show our energy projects to parents and other classes. On Thursday we visited the school generator (see photo) and Mr. Josephat and Mr. Dasta explained how it worked. We also went to the P2/3 class and shared the verb books, “A was an apple pie,” that we had written. In Maths we have been adding and subtracting decimals and recording measurements using decimal notation. The children have played some probability games and will continue with this topic next week. We look forward to seeing you on Thursday, 22nd March, for Student Led Conferences when the the children will have the opportunity to share their learning portfolios with you. Please note that there will be no regular classes on this day. Congratulation to the P6s for the wonderful presentations they shared in the gathering today. It was great to see the students confidently share how their journey has been so far and details about what each group is focusing on. 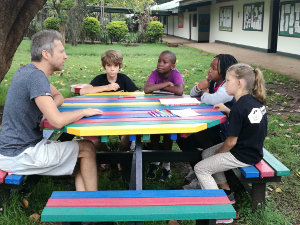 It was such a fun week with the D1 raft race, playing rugby with Bubesi Pride rugby group, Ms Cathy’s birthday and finishing off with a guest speaker who visited the Pet Patrol group (thank you Jelte and Caroline for making this possible). We have 2 groups (Plastic Warriors and Pet Patrol) confirmed to go for Field trips next week on Wednesday. I appreciate the parents that have offered to ride the students to two venues; Kilimanjaro animal Rescue and APK Cofee Farm in Kibosho. There is no homework next week however the timetable remains the same. Students should come to school until the last day of the quarter.